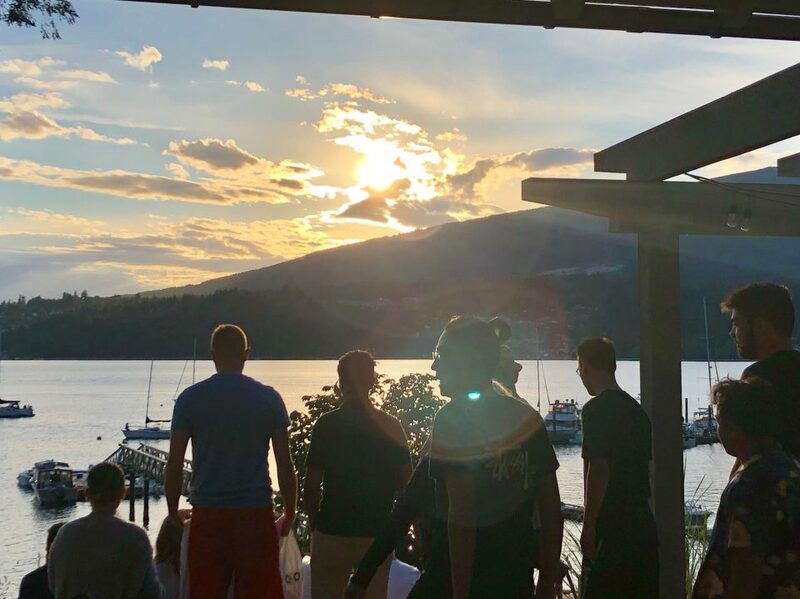 Another Sunny Summer Celebration on Keats Island - RLA Architects Inc.
RLA, Formwerks, and Regeneration staff all came together at our courageous leader’s cottage on Keats Island—just a short boat ride away from Horseshoe Bay—for some fun in the sun. 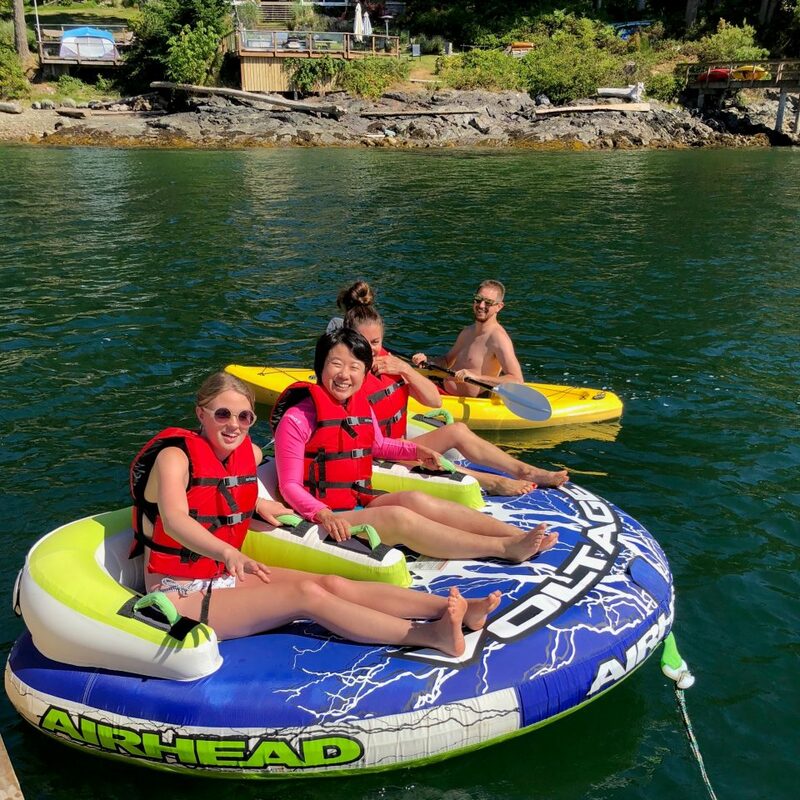 Jim kicked off the water activities with a graceful dive off the towering dock walkway before captaining a thrilling open ocean tube ride for the brave. Those seeking a more relaxed afternoon found the water trampoline, floating dock, and cottage patio made for terrific lounging. For dinner, we enjoyed a spread of Southern BBQ with a 50/50 split of vegetarian options. 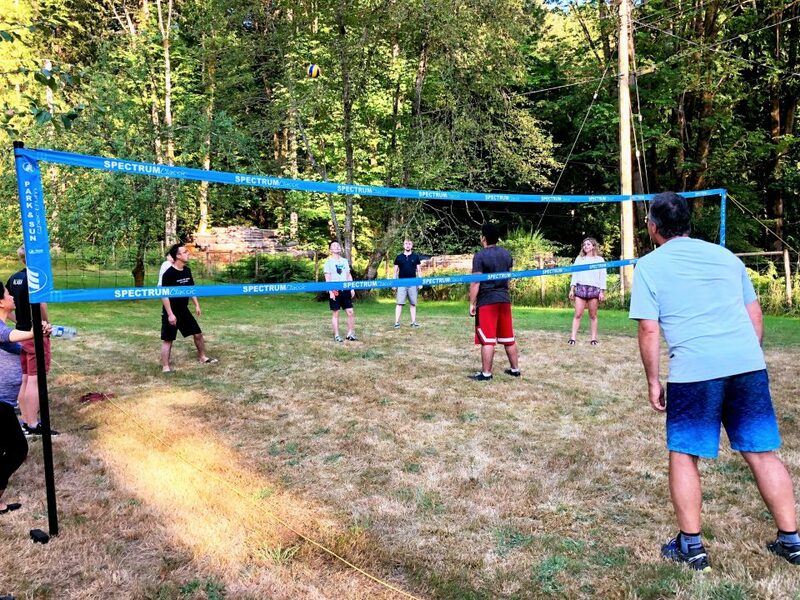 After fueling up with a delicious meal, we set up the volleyball nets for some awesome rallies and great fun. We have an annual RLA vs. Formwerks faceoff, and RLA was proud to the winner of the 2018 match. As the sun began to set, we made our way back home on a golden hour boat cruise with another memorable Keats Island retreat in the books. For more information on how you can join the party, visit our Careers Page!